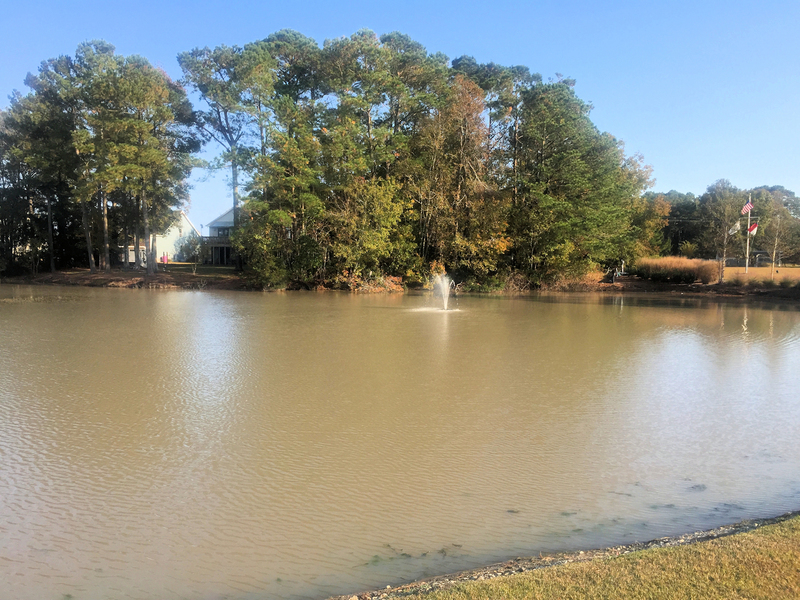 A quick view of the most influential metrics in WyndWater. 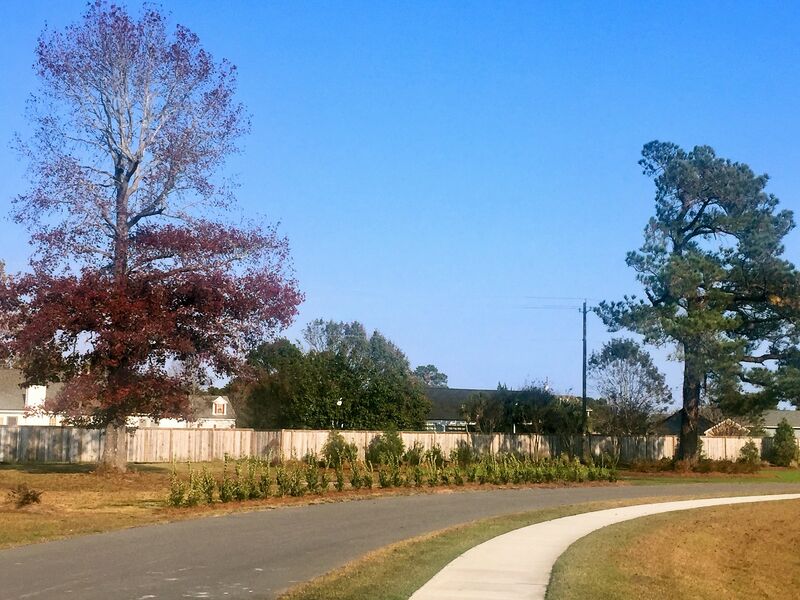 Do you long for a community that leaves you with that iconic feeling you had as a kid riding your bike through your neighborhood? 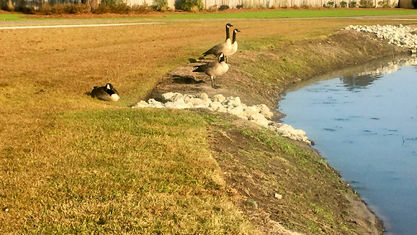 You could ride from sunrise to sunset making new memories, and always find a friendly face. 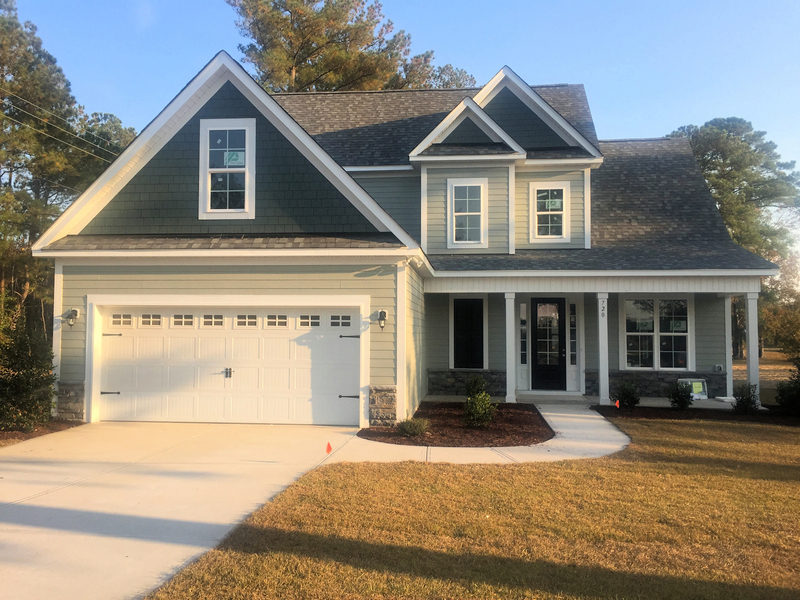 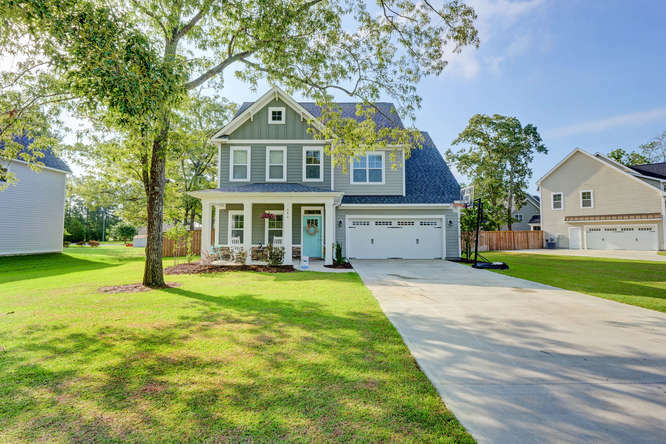 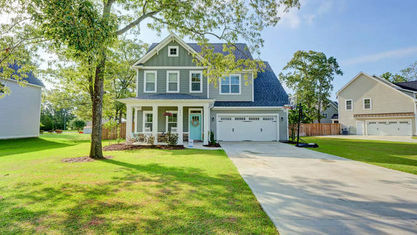 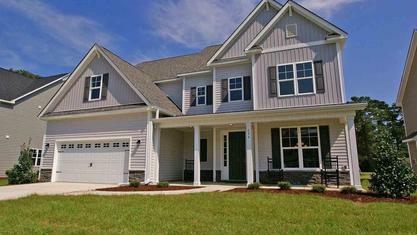 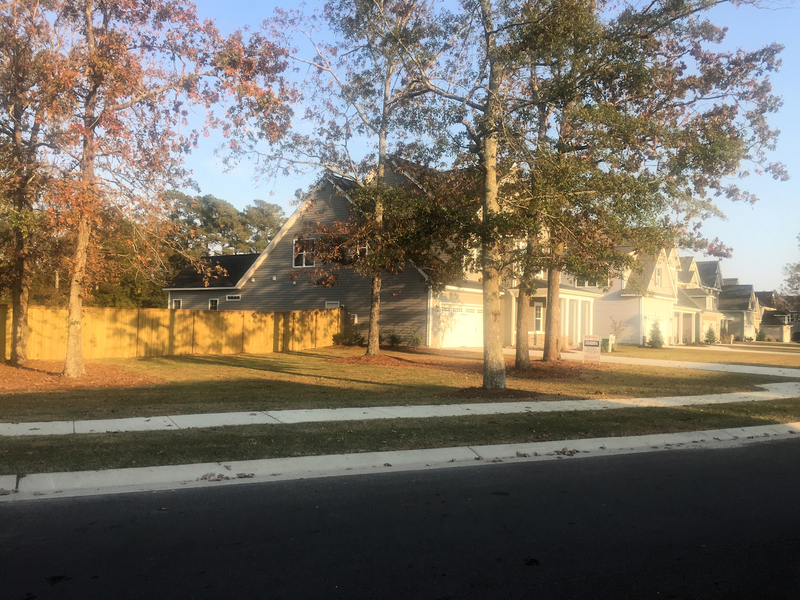 Experience that mixture of exploration and freedom once again with WyndWater, a 2016 Parade of Homes Neighborhood Winner, located off of Sloop Point Road in Hampstead, North Carolina. 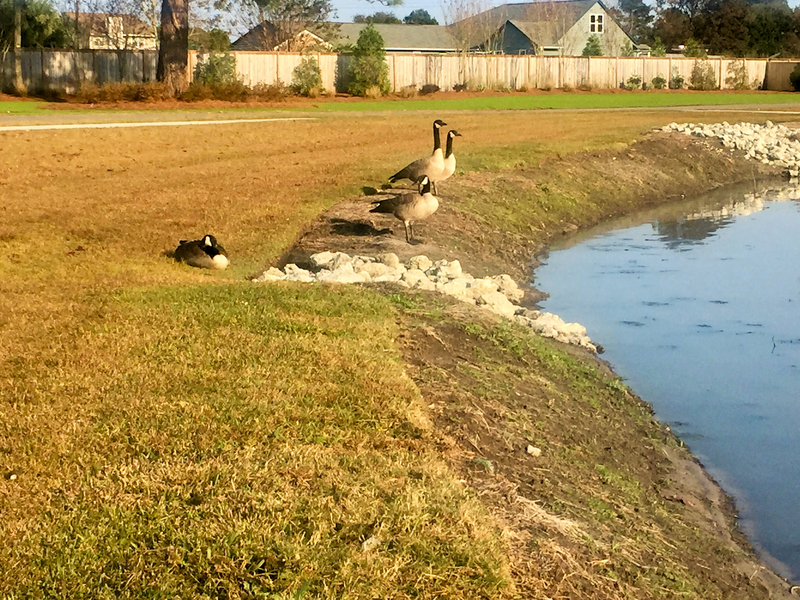 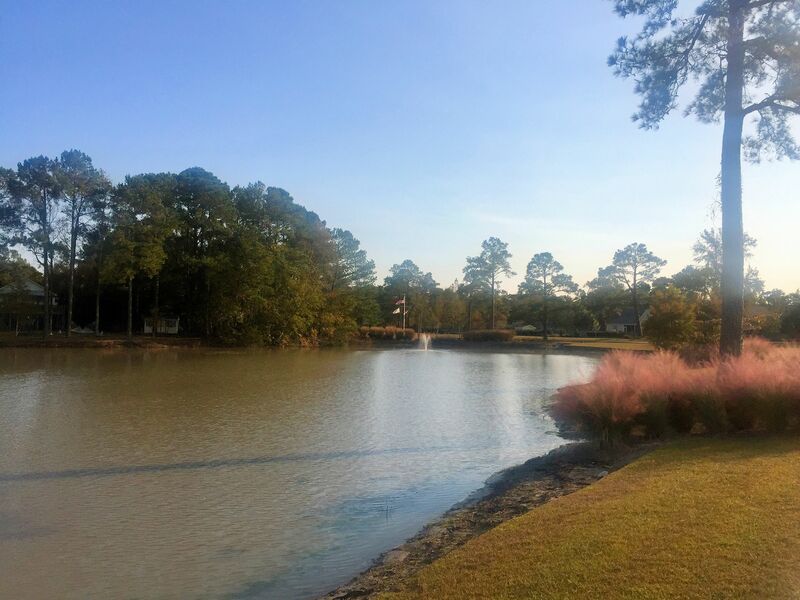 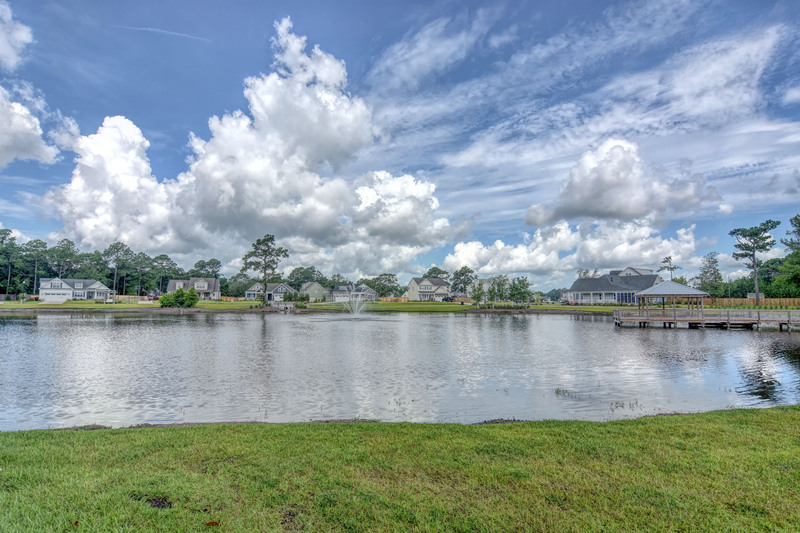 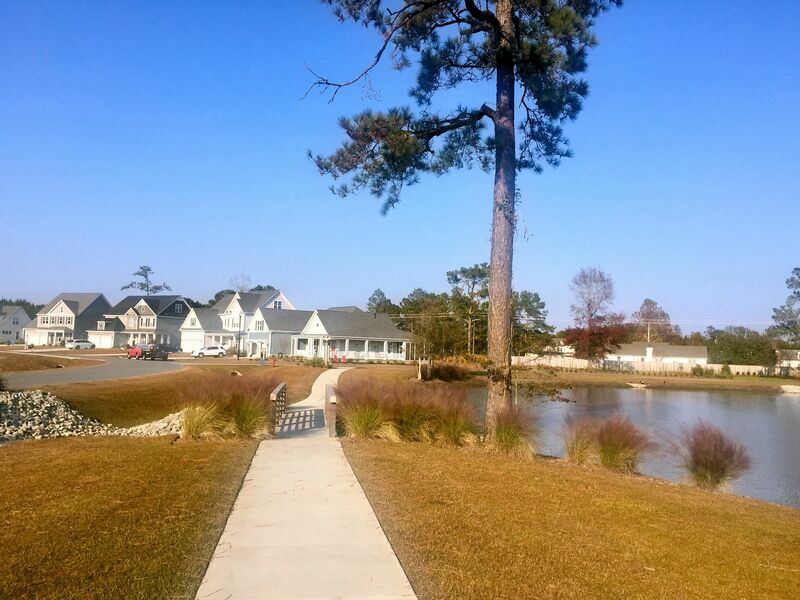 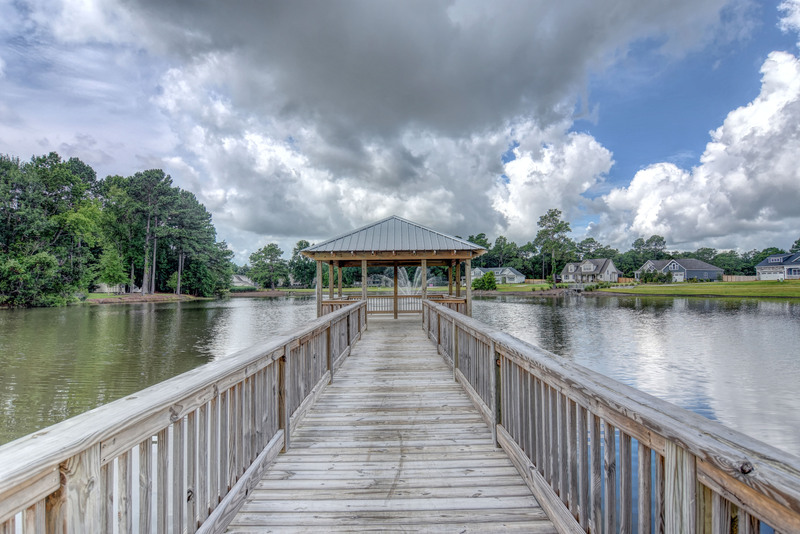 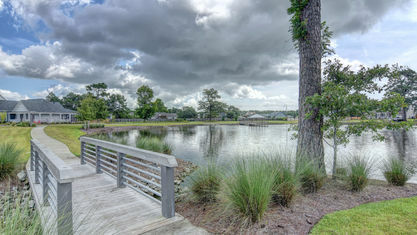 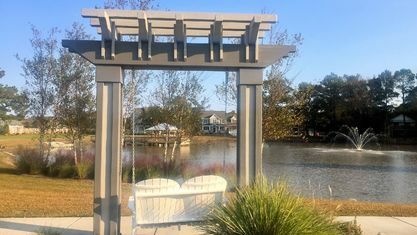 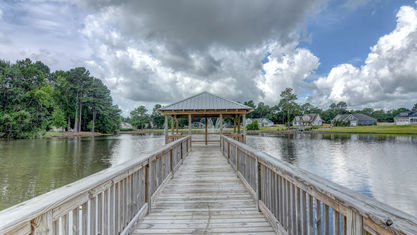 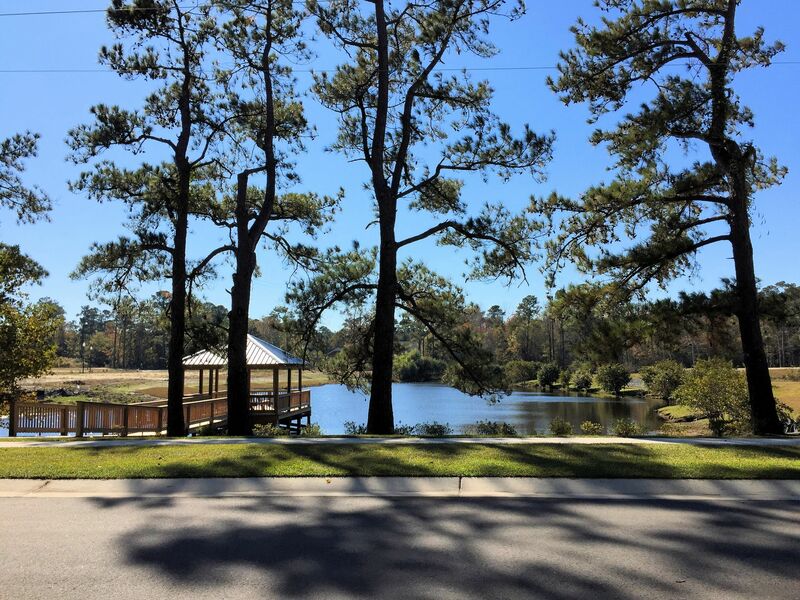 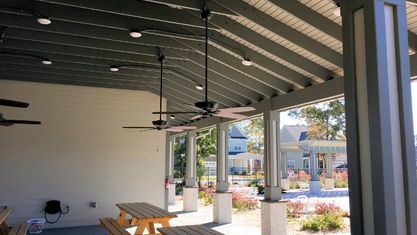 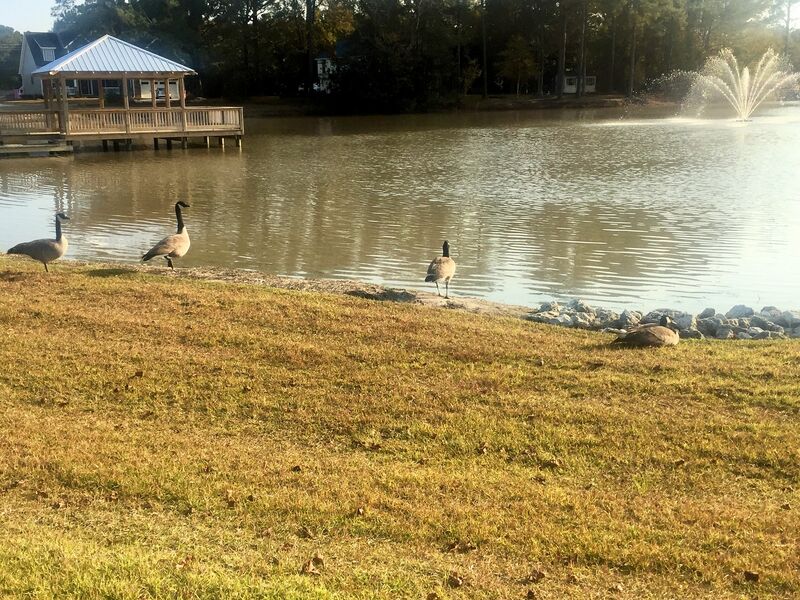 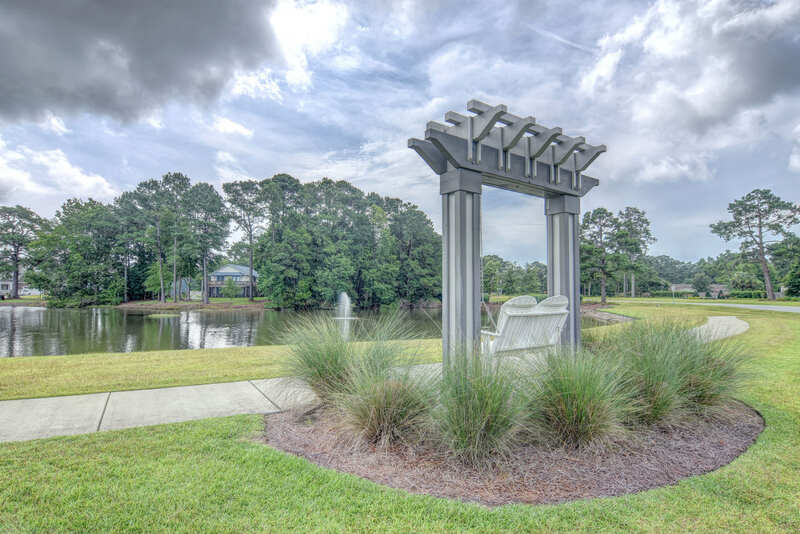 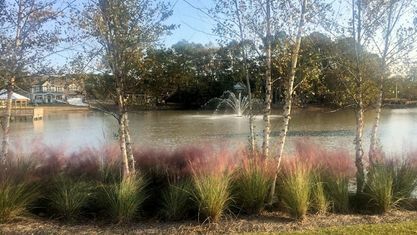 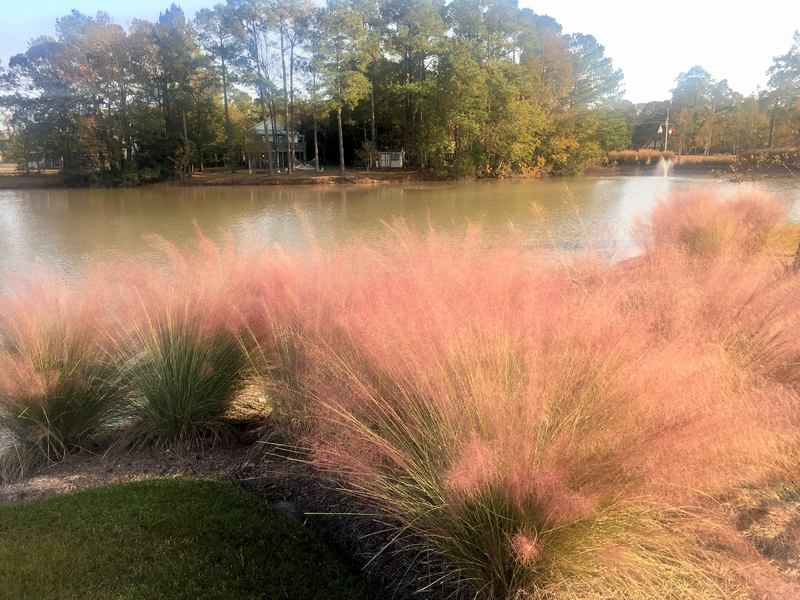 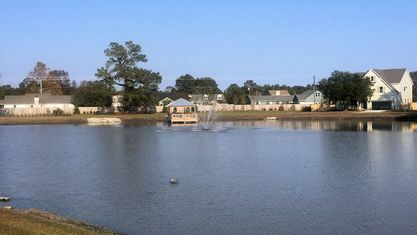 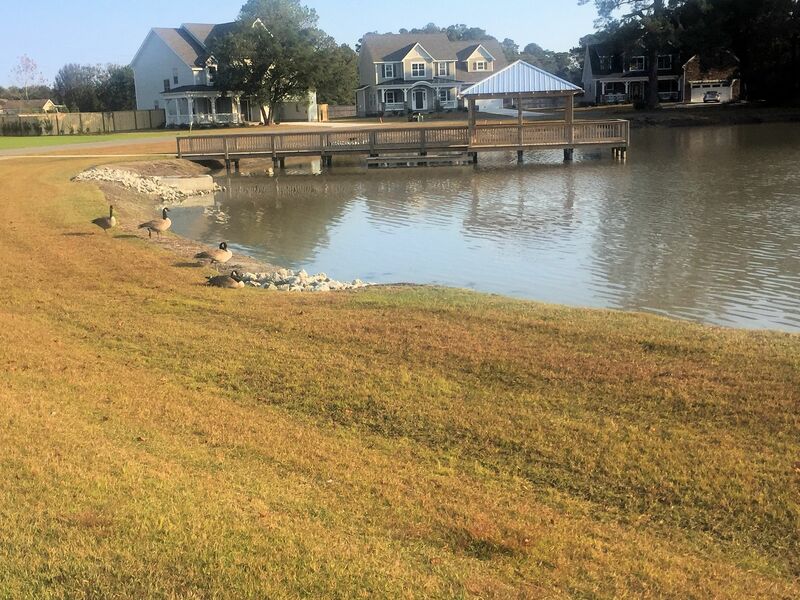 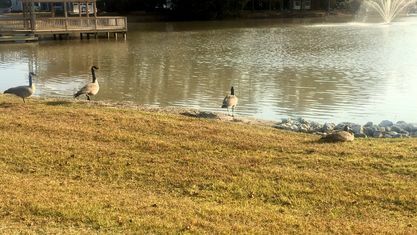 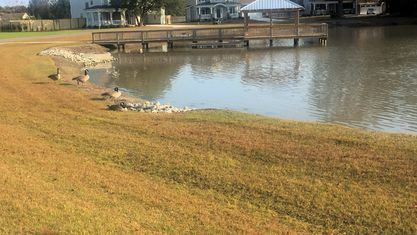 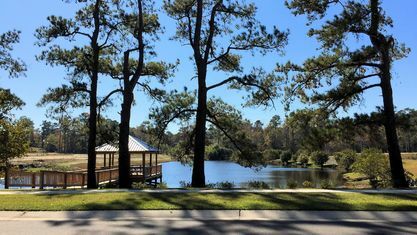 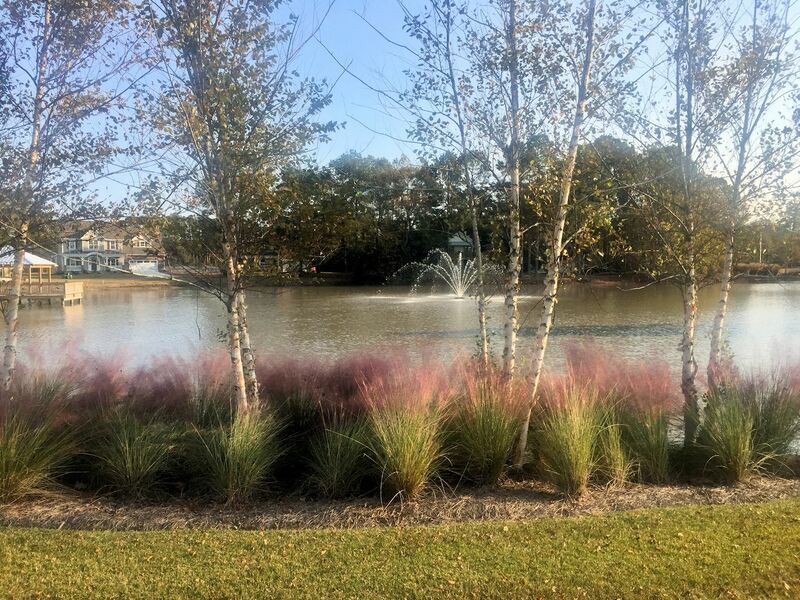 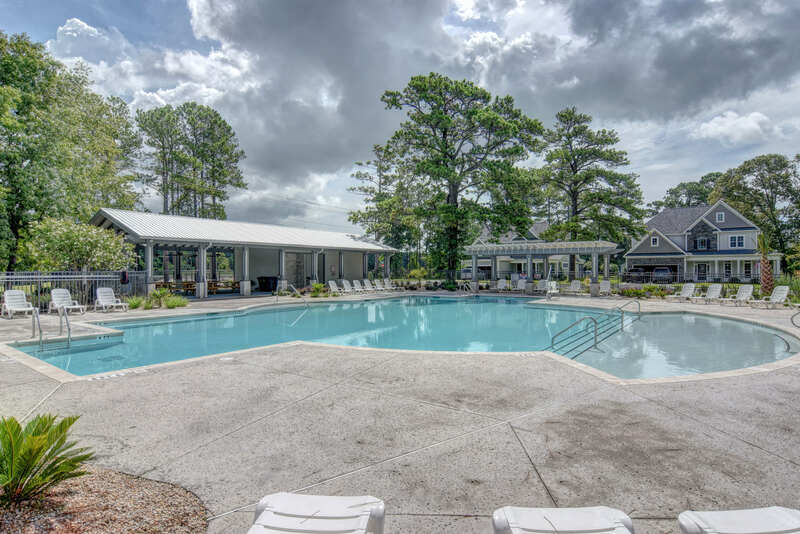 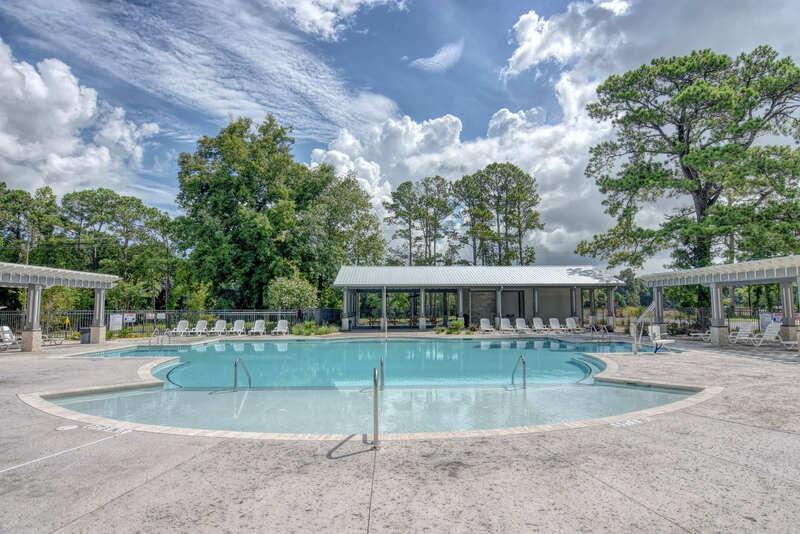 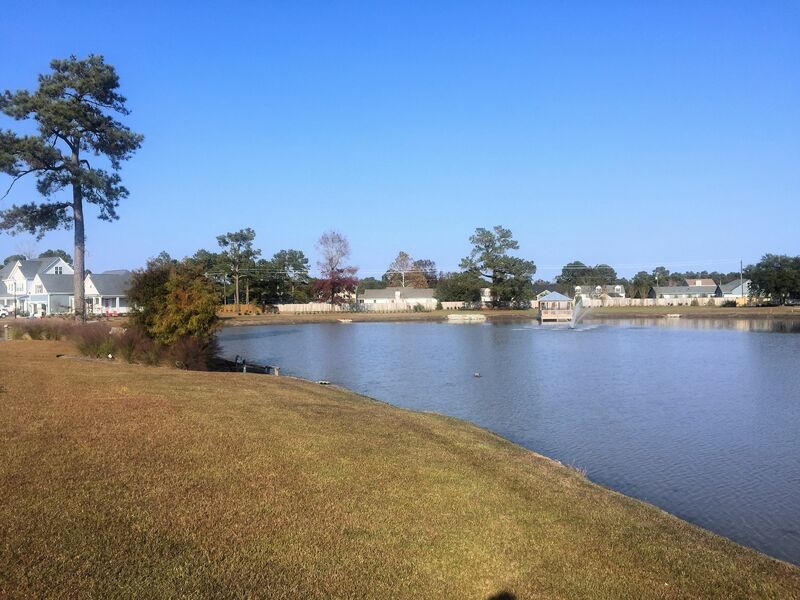 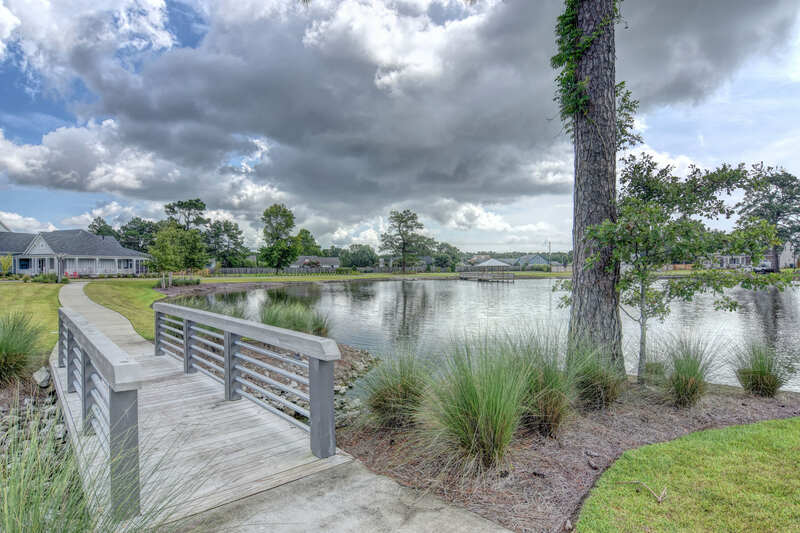 The community’s lake, ponds, walking trails, sidewalk-lined streets, high-back swings, covered resting spots, open-air parks, gazebo, and pier, call for you to get out, explore, and meet your neighbors. 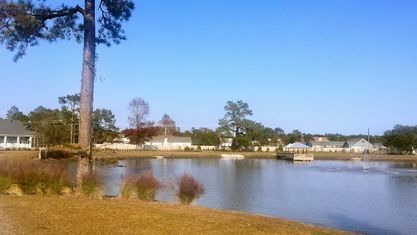 No matter if you're looking to get some exercise or just want to take in the view, there's plenty to enjoy. 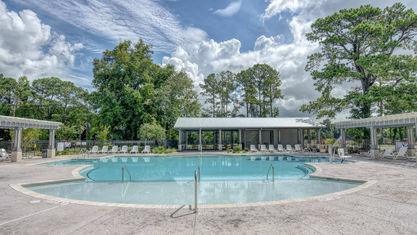 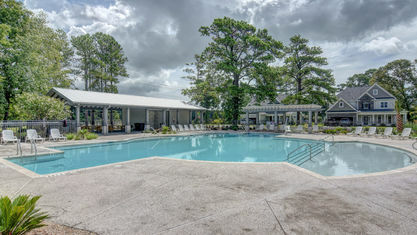 The community amenities also include a swimming pool and bathhouse for all residents to enjoy. 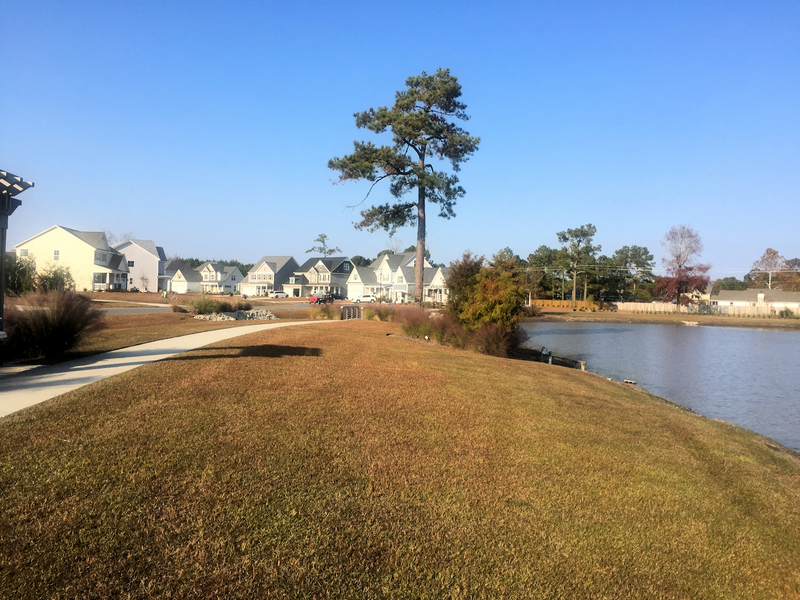 Currently, WyndWater consists of 6 subdivisions – Amber Terrace, Aurora Place, Cloverfield Park, Craftsman Place, Summerwyck Place, and Village Walk, but there’s room for future development closer to the Intracoastal Waterway. 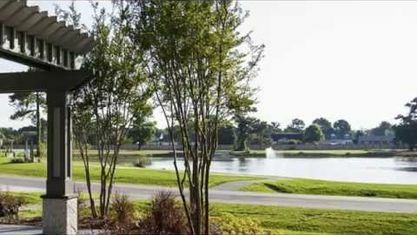 Patio homes and duplexes are located at the front of the community. 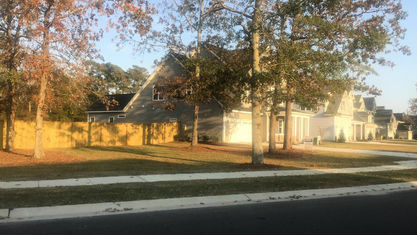 Single-family homes are in the middle. 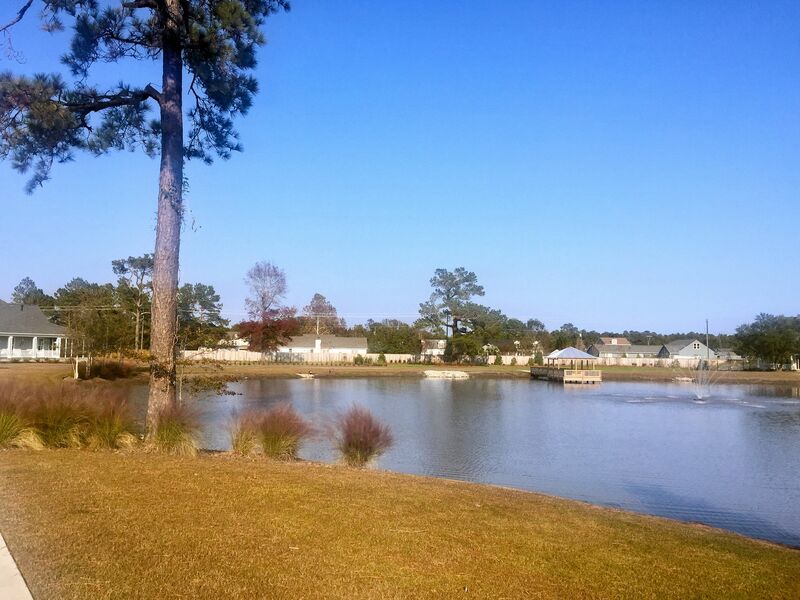 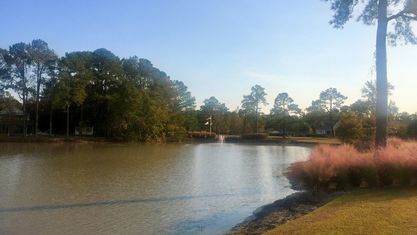 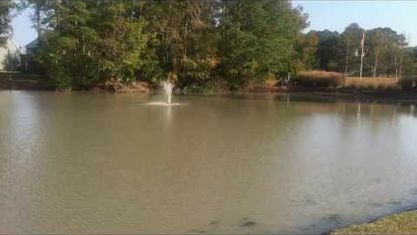 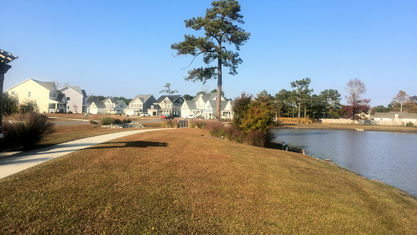 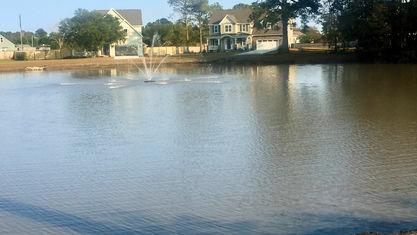 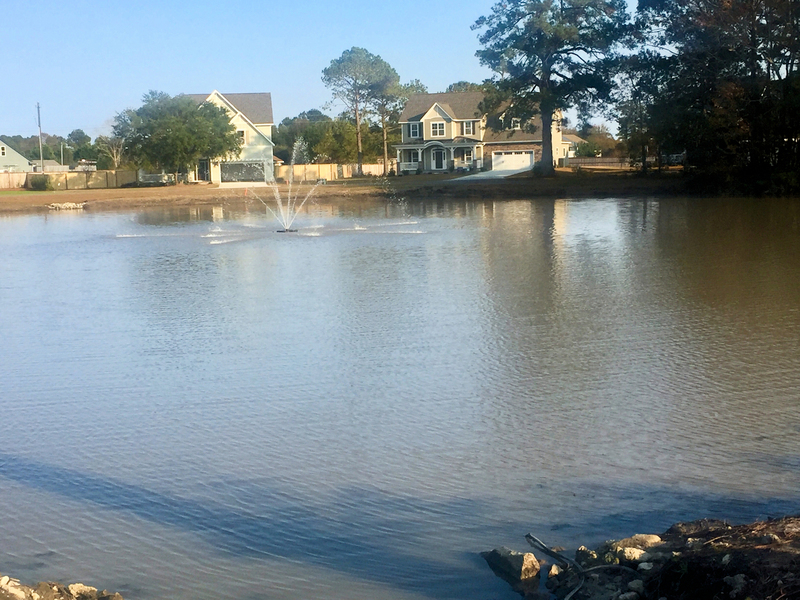 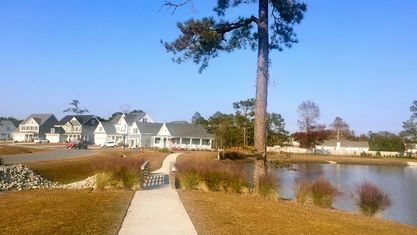 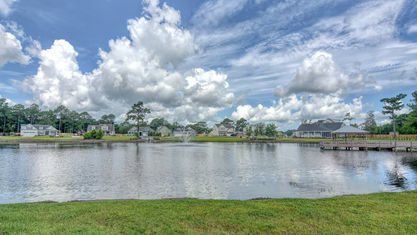 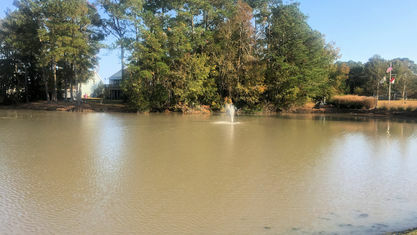 Because there are so many water features in WyndWater, some of the lots are waterfront or water view. 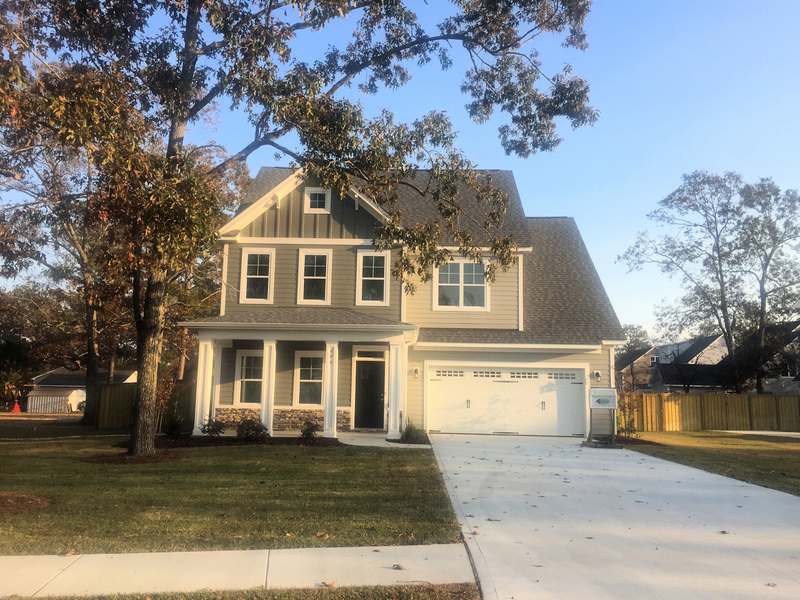 This beautiful community has 6 builders – American Homesmith, Bell Residential Co., Hardison Building Company, LGI Homes, Liberty Homes, and Robuck Homes. 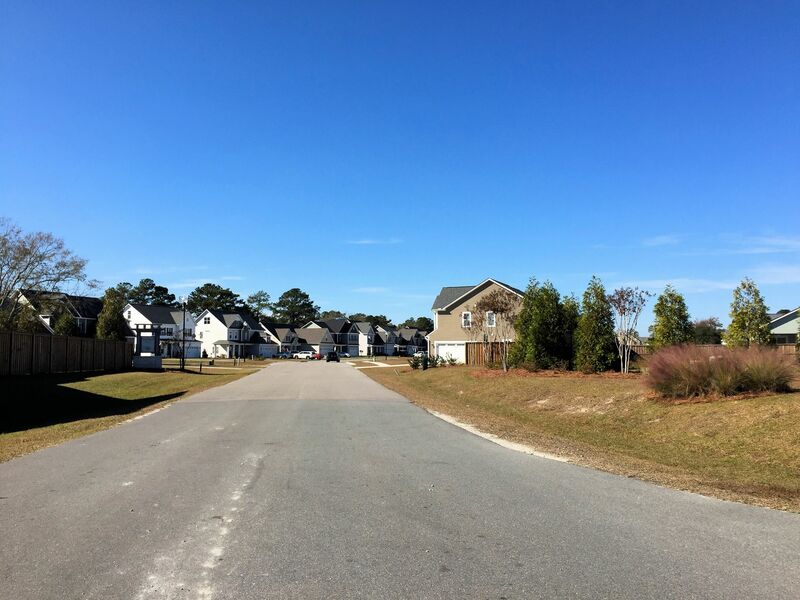 Depending on the type of home, the lot size can range from .15 to well over .5 acres. 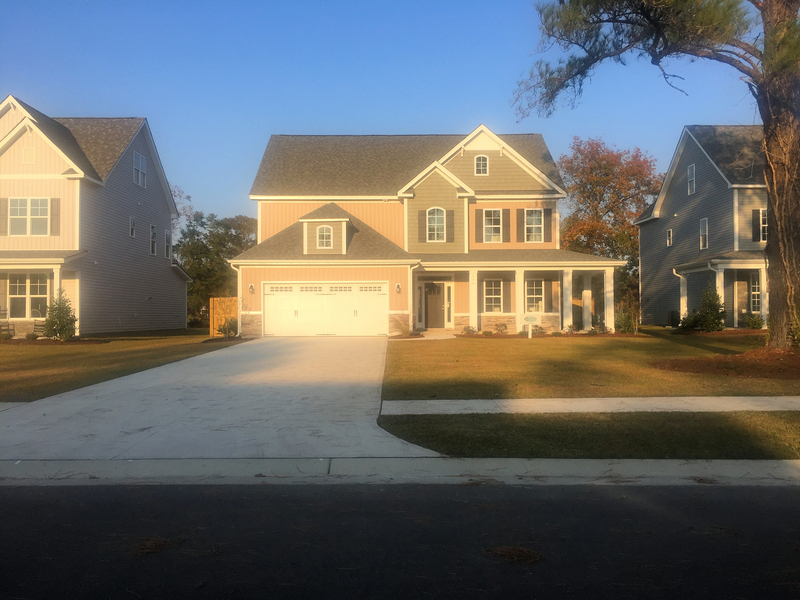 Homes start in the upper $200s* and range from 3-4 bedrooms and 2-5 baths with heated square-feet starting in the low 2,000s. 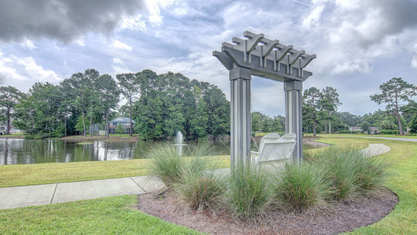 There is a large selection of exciting floorplans to choose from with features for which many of today’s buyers look, including: rocking chair front porches, 2 car garages, stone accents, James Hardie Siding, wood floors, wainscoting, crown molding, granite counters, tile backsplashes, kitchen islands, built-in appliances, ceramic tile, trey ceilings, gas log fireplaces, built-in shelves, walk-in closets, separate showers, mud rooms, bonus rooms, and more! 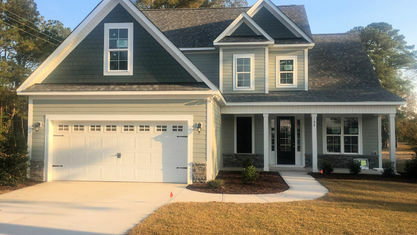 Many of the floorplans have customizable options allowing buyers to choose what works best for their lifestyle and tastes. 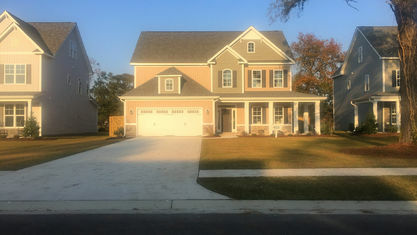 How much is available for customization depends on the stage of construction. 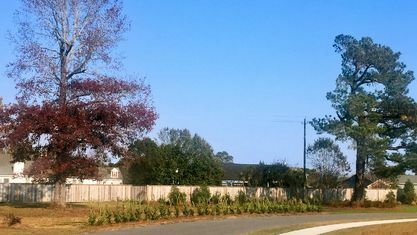 If a buyer is willing to wait a few months for the home to be built, they can get the most options by choosing a homesite and floorplan. 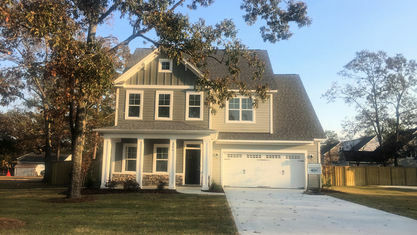 If they want something move-in ready, there are multiple homes already in the process of being constructed, but they won’t be able to choose the floorplan and some of the other features. 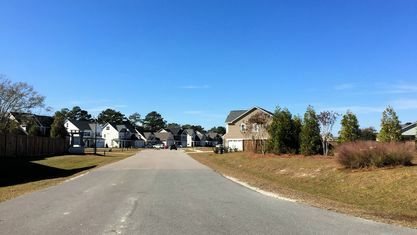 WyndWater is located in the award winning Topsail School District. 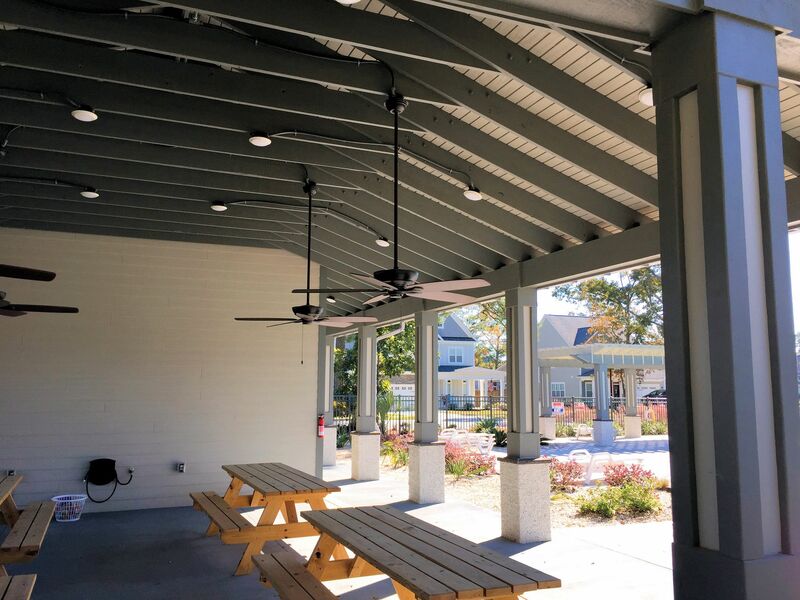 It also sits a short bike ride from the Hampstead Kiwanis Park, which features a playground, picnic shelter, multiple baseball fields, tennis courts, and organized intramural sports for both youth and adults. 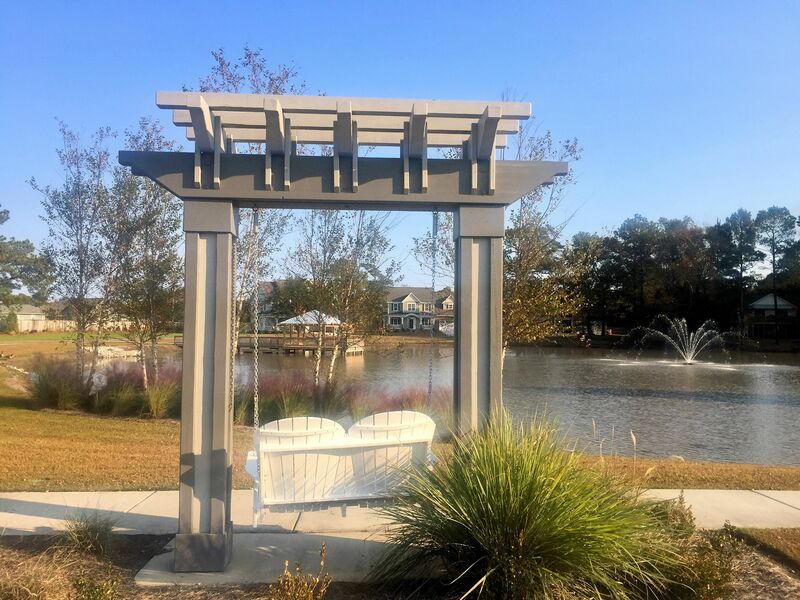 The beach and dining at Surf City is just 15 minutes away and the cultural center of Wilmington is a 32 minute drive, so in less than an hour, you can find entertainment to fit your current mood. 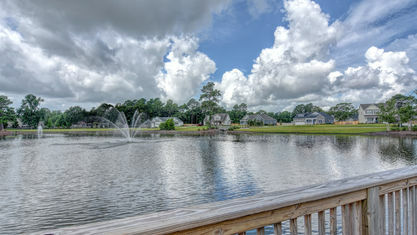 Contact the Cameron Team today for more information or click “Let’s Chat about WyndWater” above. 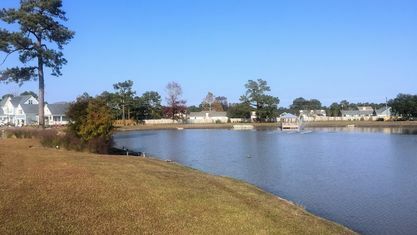 We can help you with this community and others in the Hampstead area. 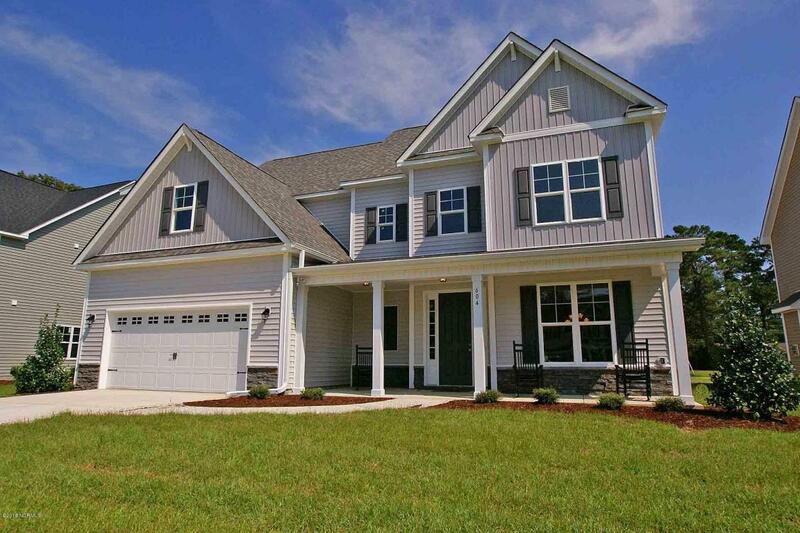 View our selection of available properties in the WyndWater area. 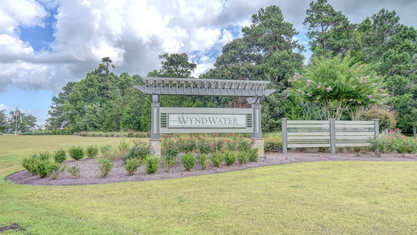 Check out the latest demographic information available for WyndWater. 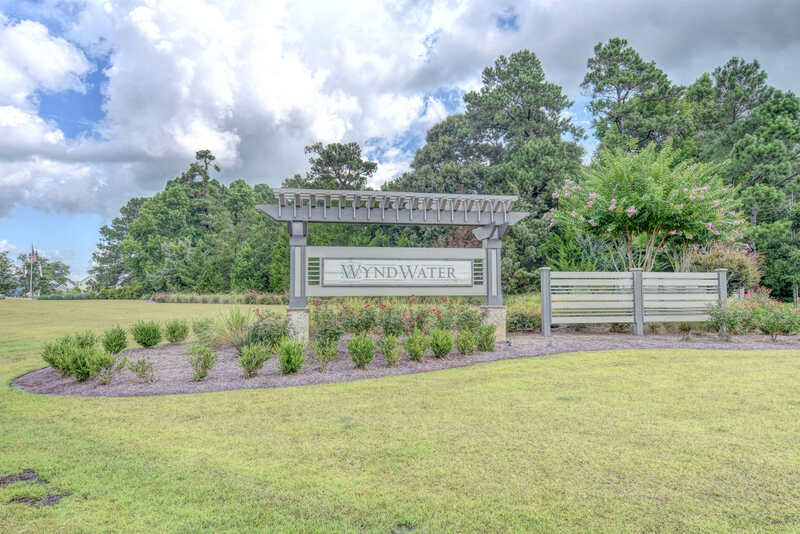 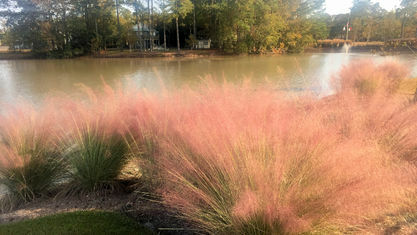 Get to know WyndWater better with our featured images and videos. 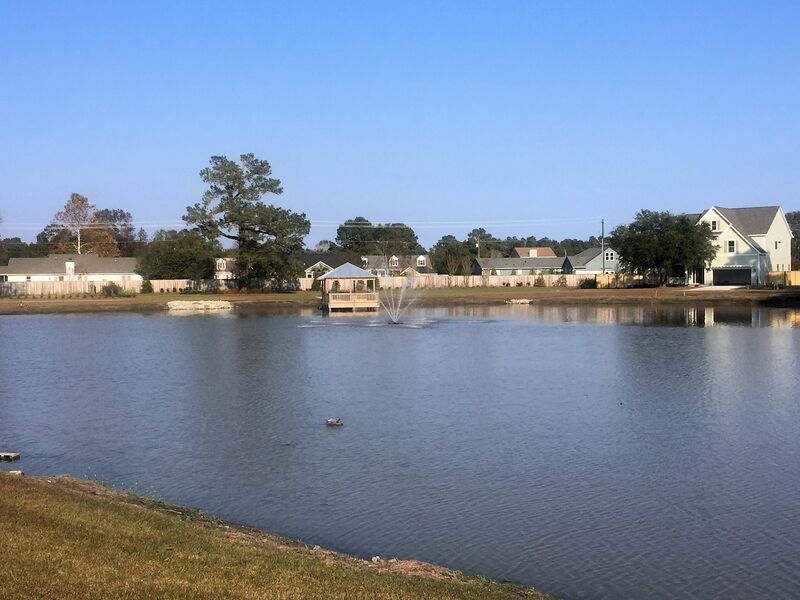 Learn more about schools near WyndWater complete with ratings and contact information. 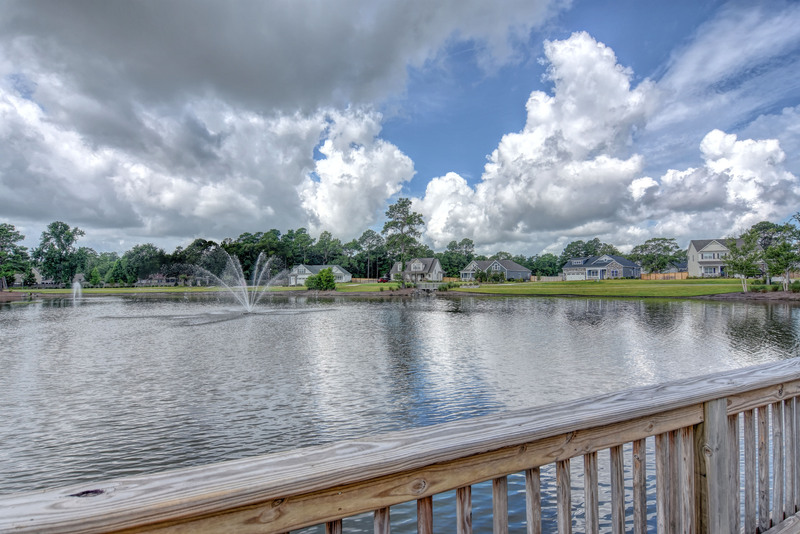 Browse through the top rated businesses in the most popular categories WyndWater has to offer.